Today’s healthcare consumers are more tech savvy than ever and are regularly turning to the Web for research and to reach out regarding their medical needs. While patients of the past had to wait for doctor’s appointments and were limited to the diagnoses received unless they scheduled second opinions, the modern healthcare consumer is empowered with the Internet at their fingertips. Now anyone can go online and find medical information, advice, support, and numerous other healthcare resources at any time and any place. As a result, healthcare organizations need to connect with this new breed of empowered consumers in a whole new way. Interestingly, their preferred channels of communication have become the social media platforms that have become so comfortable and convenient for them. 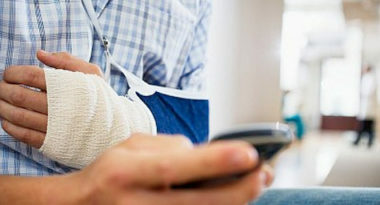 MediaPost.com reported on how healthcare providers can get in sync with this new social media approach to medical care. A recent PwC report analyzed consumer behaviors related to a variety of health-related activities on social media channels. The results showed that respondents enjoyed engaging in healthcare discussions, with 27 percent having commented on others’ health experiences and 24 percent having posted about their own. When asked about their willingness to share personal health information via social media, 47 percent said they would share it with a doctor, 43 percent would communicate with a hospital, 38 percent would open up to an insurance company, and 33 percent would speak with an alternative healthcare setting. These responses indicated a definite consumer desire to connect with healthcare providers through social media. Not surprisingly, levels of enthusiasm varied by age, with 80 percent of respondents ages 18 to 24 open to sharing health information on social media, compared to 45 percent of those ages 45 to 64. In regard to what consumers expect from their social media healthcare communications, 72 percent would like to schedule appoints online, half would like to receive responses within a couple of hours, and 41 percent said social sources would influence their choice of medical providers. The bottom line is that the healthcare relationship is based on trust and consumers are increasingly willing to place their trust in social media sources of medical information. Now, it’s up to healthcare marketers to position their organizations as worthy of that consumer confidence. First, healthcare providers must start communicating with customers on a regular basis. Next, they need to do everything possible to establish personalization so the consumer feels a genuine connection. Finally, healthcare providers need to be proactive and reach out to consumers in every way, both technological and traditional, in order to demonstrate their unlimited accessibility. Remember, the goal is to show consumers a desire to foster a real relationship by using real-time methods. Social media makes this communication possible and provides a level of personalization never before imagined. Consumers want to connect with their healthcare providers and social media opens the door to a richer, more rewarding healthcare partnership. To learn how to incorporate social media into your healthcare marketing, contact MDG Advertising today at 561-338-7797, or visit mdgadvertising.com.